The size of a man is given not by his height but by the things he accomplishes in life and more important, by the legacy he leaves. 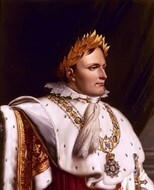 Napoleon’s deeds changed the face of Europe and for better or worse, he altered France forever by pushing it towards irreversible changes. 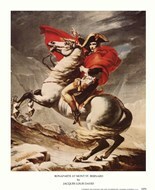 There are many who revere him and just as many who have plenty of criticism to make. 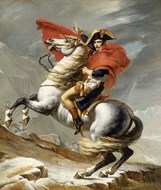 Napoleon paintings were abundant in the years of his reign and many years after. 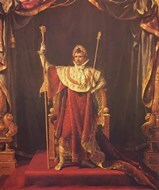 Those who prefer a more targeted approach will focus on a handful of special moments that marked his reign as Emperor. 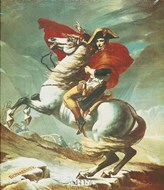 Famous Napoleon art prints such as the ones depicting him crossing the Alps, his consecration or on the battlefield sell like hot cookies. In the heat of the battle and when commanding his armies, he looks like a giant and his actions and stance serve as a source of inspiration. 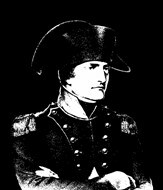 Napoleon posters will command respect and catch the eye of anyone entering the room where they are displayed, which makes them the focal point of attention and great conversation starters, especially for history buffs.